The currency is declining in Indonesia, but the archipelago is keeping its attractiveness. In 2014, President Widodo’s cool-attitude won him the election. He was often referred to as the Indonesia version of president Obama. However, the election this year may not be as easy due to the decline of Rupiah. The currency is at its lowest over the course of 20 years. Last year, the Rupiah almost slipped 10% and is now close to the same value during the Asian financial crisis in 1998. There are both internal and external issues responsible for the decline of the currency. The US rising interest rates, and its trade wars with China are the mains external factors. Internally, the important trade deficit of the 16th world’s economy and its uncertain results of next year elections have pushed away some foreign investors. All of these factors associated have led to the currency fluctuation. This crisis has an impactful influence on the plastic machinery market, as the fluctuation of currency can generate a crucial difference of the overall cost of the purchased item. This uncertainty worries some buyers and incites them to wait a more stable macro-economic environment. But it will be a mistake to compare this situation to the Asian crisis of 1998. Indonesia has now established a stable banking system, able to face the currency fluctuation and adopt crisis solving structural reform. Moreover, the economic growth is stronger as the GDP Annual Growth Rate in Indonesia averaged 5.28 percent from 2000 to 2018. The populous country is driven by its private consumption. The Indonesian government is aware of the importance of the plastic industry. It has implemented some positive measures toward the plastic industry, such as less restrictive import legislation on plastic raw materials, in order to limit the influence of the fluctuation on this crucial sector. Despite the currency situation, the huge Indonesian market and its potential is still attracting a lot of plastic machinery manufacturers. Web control is a Taiwanese printing and packaging machine manufacturer. 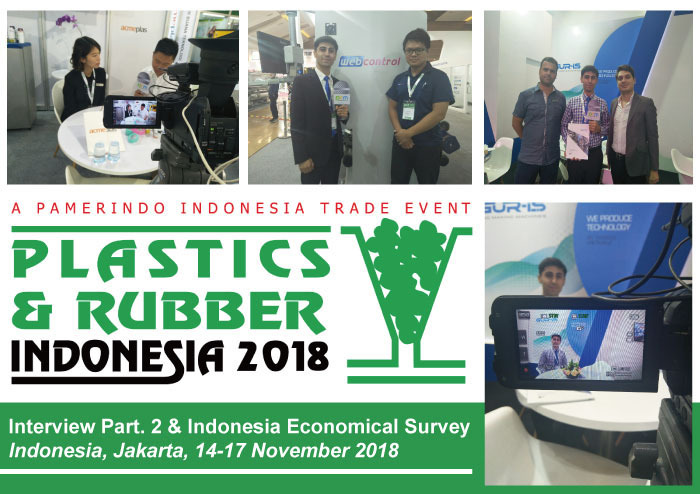 The machine that they showcased in Plastics and Rubber Indonesia in the below video, is an evolved version of their top selling machine. Mr Tseng shares his experiences of how the technology is evolving, and how data sharing and IOT(internet of things) are giving a boost to the industries productivity. Inter Buana is an agency who represents Acmeplas, a packaging integrating solutions company. In this interview, Mr. Usnandi introduces us their latest injection molding machine, along with the next innovation project. Acme Plas is currently working on a variety of projects that should be of interest. Gur-Is is a Turkish bag making machine manufacturer. The bag making machine at the exposition is universal, with a lot of different applications for clients with various needs. They are a promising company that has been expanding very quickly in the past few years. 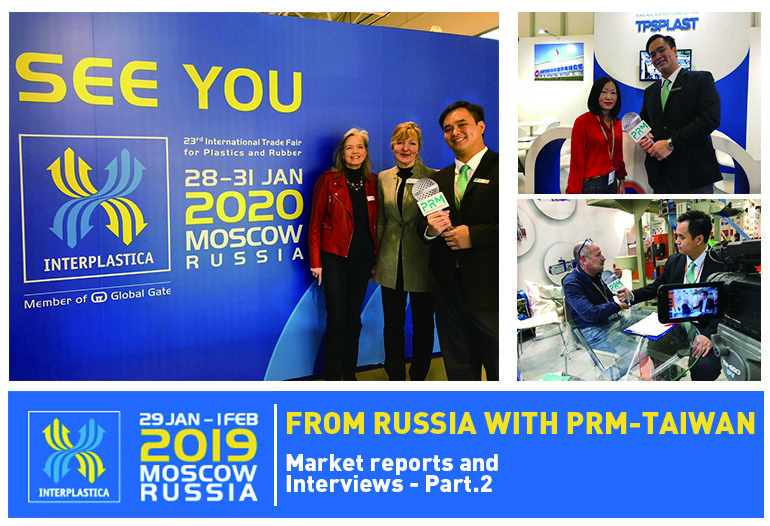 Visit them at the upcoming Chinaplas 2019 and Plast Eurasia 2019. TSUNG CHEN MACHINERY CO., LTD.